My eyebrows are very light coloured and almost a year ago I started to fill in my eyebrows with an eyebrow pencil. 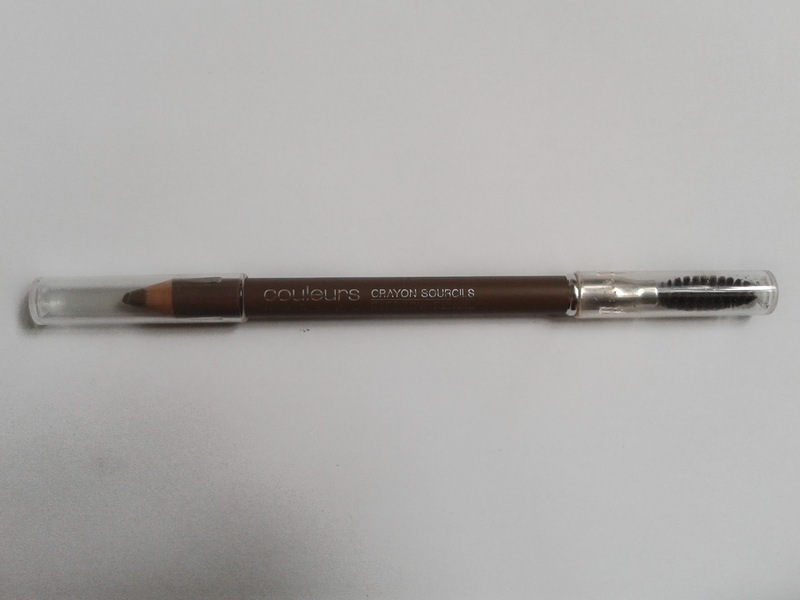 I was using the pencil for a little while and then a friend told me I should try the Catrice eyebrow set when we went to the Kruidvat. And I’m going to tell you what I think about both of these two completely different products with the same purpose. I used to fill in my eyebrows with the Yves Rocher eyebrow pencil. It’s really easy and a good start if you never used to fill in your eyebrows before. The only thing is that you have to find a good colour that will match your facial expression. 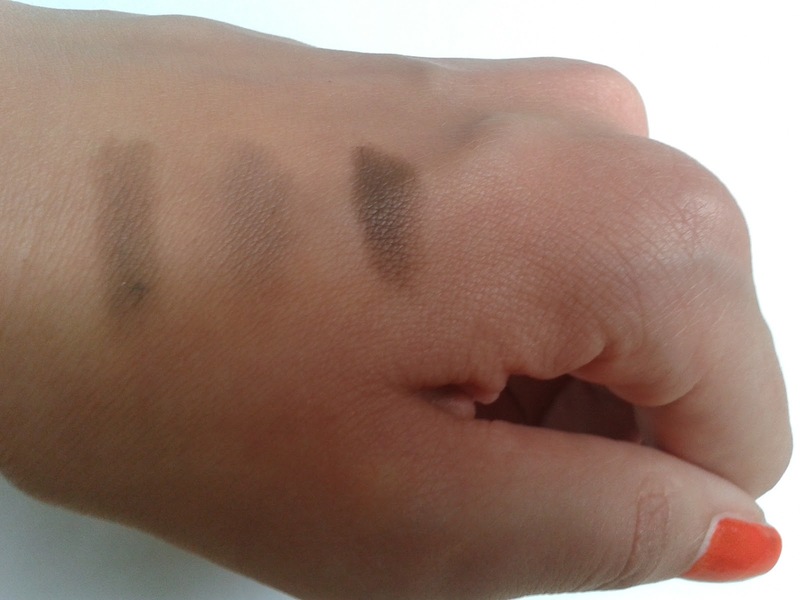 Don’t buy a pencil that is too dark and try to keep it as natural as possible, but that’s what you have to do with every make-up you buy and use. Well that’s my opinion. I like to keep things natural and not too much. If you have a different opinion about that, that’s okay of course! I didn’t know which colour would be the best so I asked for help and the lady that helped me was really nice. (I don’t like to ask people for help. I think it makes me look stupid..) But she explained to me why the pencil she gave me is the best for me. Because I’m a blonde she gave me the 02 cendré eyebrow pencil. It’s a perfect colour I think. It’s not too dark and it doesn’t give me a fake look. I’ve tried to find the same colour in different shops but I haven’t found a cheaper pencil yet. Also when you buy an eyebrow pencil you have to buy a special make-up pencil sharpener just that you don’t forget that like I did. haha. So I had to buy one too and that’s the only extra you will need. There also was a brush on the other end of my pencil and two lids that cover both ends. I really like the effect of this pencil. It’s easy and it’s up to you how dark you want your eyebrows to be. If you draw the line thicker it will be a darker colour, simply as that. This cute little box was recommended by my friend. She is also using it. And she said that I should try it too. It was almost the same colour as my pencil. So I decided to buy this cute little eyebrow set. Look at the little brush and tweezers in the drawer! But the tools are a little bit too small I guess. I can barely hold the brush in my hand. But it fits in the box and the box is easy to take with me when I’m on the road. But I bought a larger brush because that works so much easier than this little one. This brush is so small that when I fill in my eyebrows I see more hand than the brush. Also I’m not a fan of the little tweezers. I don’t think I’m ever going to use them because they are so small, but I keep them in the little drawer so whenever my eyebrows are ‘wild’ I always have tweezers with me to pick those wild hairs away. There is a mirror in the box which is always very useful but is also small. It's just a whole small package so that is very logical. I just mention it a hundred times and I don't know why because I really like the idea that everything is so small and easy to take with me. This is the box opened with the little drawer and the mirror. The mirror is a little bit small but it's very useful for when you're on the way. 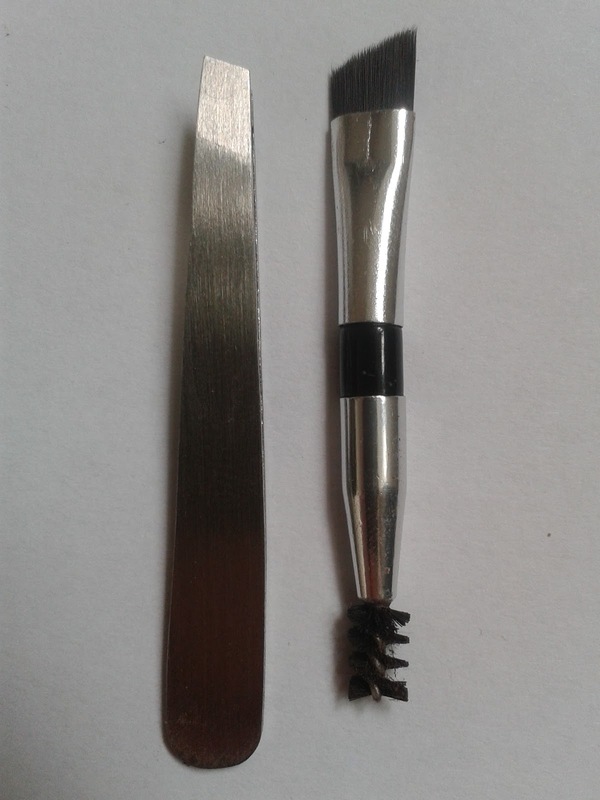 I hope you can see that the brush and tweezers are really small. Now the colours. When I drew on my hand with the pencil, I noticed that I had to draw multiple times before the colour was visible enough to take a picture of. I didn’t notice that when I used it for my eyebrow. But I don’t really mind. I really like the colour as I said before. 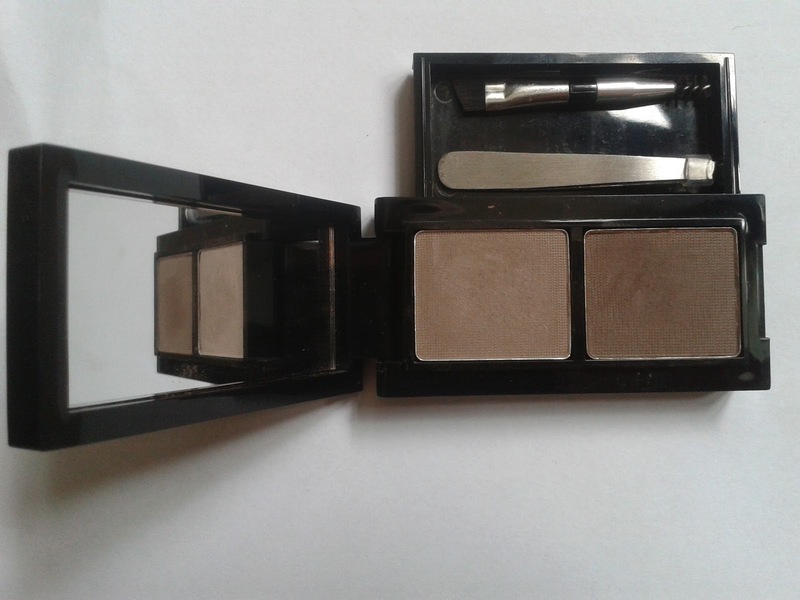 The second one is the first colour from the Catrice eyebrow set I call it number 1 because Catrice didn't give the colours a name. This is the colour I use for my eyebrows. It looks really light on my skin but it gives my eyebrows a good natural colour. Colour number 2 is very dark as you can see. I don’t use it. It’s very pigmented and when you have darker hair than me I think that colour is perfect. I really like both of the products and I don’t think I can choose between them. 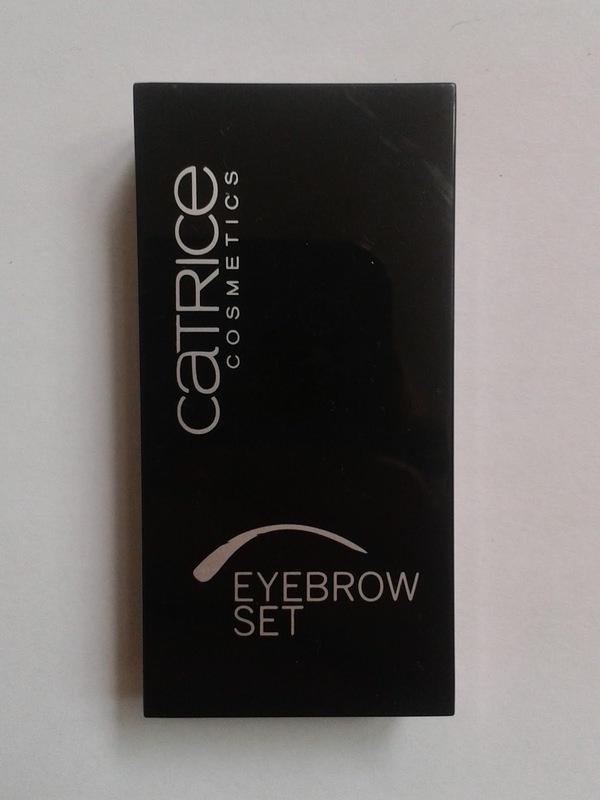 But right now I’m using the Catrice eyebrow set. I thank my friend for recommending this one to me! I’m really happy that I finally have visible eyebrows.